By the time the 1970s came, the music started to change drastically. The emergence of heavy metal and the transformation of rock music into progressive rock were, without any doubts, some of the most exciting revolutions music fans ever got to hear. 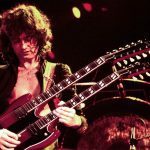 By the time the 1980s arrived, we’ve seen the rise of the guitar shredding trend that eventually merged with progressive rock, combining lightning speed solos, odd time signatures, mind-bending songwriting techniques, and other surprising elements. One of the main leaders in this new progressive metal genre was Dream Theater, which originally formed as Majesty back in 1985. 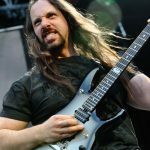 Among the guitar enthusiasts, almost everyone is familiar with John Petrucci, the band’s guitar player and one of the main songwriters. Here, we will be focusing on one of his newest collaborations with the famous Ernie Ball ñ the Music Man Majesty guitar which he uses these days. Let’s get into this one, shall we? Because this is such a special instrument, we’ll start off with the design. What’s really amazing about Majesty is that John Petrucci himself actively participated in the development of this guitar. Being one of the most technically proficient players of all time, ergonomy was one of his top priorities. It’s more than just a double-cutaway Super Strat type of guitar as both cutaways go way up to the highest frets, making them very easy to reach. In addition to this, the body shape design provides comfort for the picking hand. We could also describe this guitar as a piece of art, showing us how it is possible for one instrument to have both looks and great playability. The aforementioned body design is as beautiful as it is comfortable. The central part, right where the pickups are, features a carbon fiber type of look. The shape is very slick and smooth, with the upper horn significantly longer than the lower one. It features a matte finish on both neck and the body and can come in three different color schemes: Glacial Frost, Polar Noir, and Arctic Dream. All this is rounded up with the beautiful Majesty logo on the first fret. That’s the same logo Dream Theater used from their earliest days. There are so many great features that we don’t know where to begin. First of all, this is a neck-through solid body guitar. The neck is made from Honduran Mahogany while the body is a basswood one and has a maple top. Of course, there are 6-string and 7-string versions, but what is interesting here is that both of these have the same scale length of 25 1/2″. The two versions also feature 24 medium jumbo stainless steel frets. The neck radius is pretty flat, 17″ or around 430 mm, which shows this guitar is intended for modern lead playing. Now, the headstock is also pretty interesting with the 4 + 2 configuration, allowing strings to go in a completely straight line all the way from the bridge to the tuners. While we’re at tuners, they’re Schaller M6-IND locking machines with black buttons. As for the electronics and all the other stuff, it features an active Custom Music Man preamp. Majesty has two humbucker pickups, DiMarzio Illuminators, and one piezo pickup on the bridge. And the bridge is another really interesting feature. It’s a custom John Petrucci Music Man, essentially a floating tremolo bridge that’s made from hardened steel and has stainless steel string saddles. And, just like the guitar finish, it’s also matte. Real quality work this one. This is where things get really exciting. Aside from the 3-way pickup selector, that’s placed closer to the picking hand, somewhere below the bridge humbucker, the tone knob is a push-pull that gives an additional pickup configuration, isolating only the inner coils. Of course, there are three knobs in total, one controlling the volume of the pickups, and that also has a push gain boost option, one tone knob, and one that controls the piezo volume. There’s also another 3-way switch at the bass side of the body where players can pick between these three options: only the humbuckers, the combination of the humbuckers and the piezo, and only piezo. As you can see in the controls section, Majesty is one very versatile instrument. It’s just pretty wild what you can achieve with it. No matter the genre and no matter the style of your playing, there are so many options for you to choose from, everything between tender single coil funky tones, over crunchy prog rock sounds, all the way to heavy metal soaring leads. One of the features that might not seem that exciting, but can really come in handy, is the gain boost. It can be quite useful for the lead players that need no pedal dancing or distracting picking hand actions to get that push for their solo parts. Just one press of a button and you’re all set. Since we mentioned that the strings are going in a completely straight line, this and a few other features allow you to play freely without any fear of going out of tune. Which definitely saves a lot of time and a lot of nerves. Combine all this with the ergonomy and a very comfortable and playable neck, and you’ve got yourself a perfect electric guitar for all genres. There’s not much that we can say other than that it’s a very versatile, well-built, and all round amazing guitar. However, it’s not exactly what you would recommend to a beginner. And it’s not for everyone. It’s a pricy instrument that’s unlike the traditional Gibson/Fender kind of thing that most of the guitar players are used to. Due to its versatility in sound, it can be used in pretty much any genre, but it’s probably the best idea to get one only if you’re going to be a professional musician. Otherwise, you’ll just end up with one very expensive toy. Both versions, the 6-string and the 7-string, are amazing if you do decide to get a Majesty yourself.